If there’s anything good that came out of Monday’s 3-2 loss it’s that the Capitals outshot Phoenix 31-18. Yes, folks, we’ve resorted to celebrating shot differentials after yet another loss. 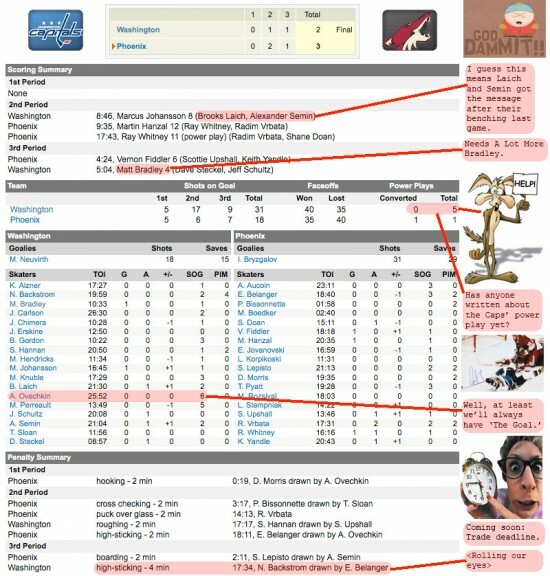 Click on the box score for a larger version.